Hi ho hi ho, it’s back to school we go. We remember being marched up to Dublin for new shoes, a uniform (navy pinafore, white shirt and red tie) and a nice colourful schoolbag in the countdown to going back to school. That time of year has come around again and M&S is first to remind us about their fantastic range of school uniforms which let kids be kids (think stain repellent and non-iron garments). 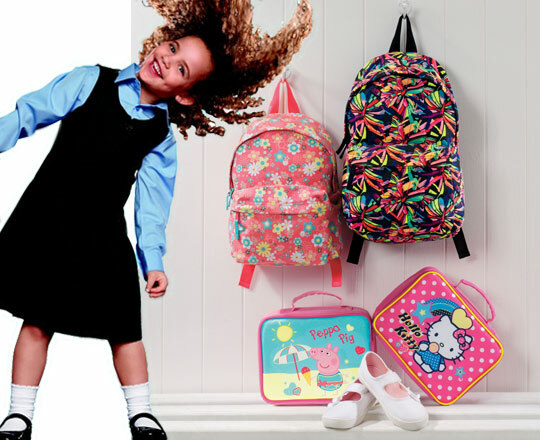 Kids will love the fashion-forward pieces, whilst parents will breathe a sigh of relief with a smart selection that doesn’t break the rules or the bank, so there are happy households all ‘round. To celebrate, M&S are giving WhatSheWears readers the chance to win one of two €50 M&S gift cards up for grabs. Leave a comment below. You must be signed up to our newsletter (simply enter your email in the box on the right hand side of this page); and Facebook Page to be eligible, a resident of Ireland; one comment per person; no cash alternative is possible and the competition will close at 12pm on Thursday 28 July 2011 when we will pick a winner at random. The winners will be emailed and announced in our newsletter on 29 June. Competition is closed! The winners have been notified. Summer ………. Let’s hope it arrives soon !